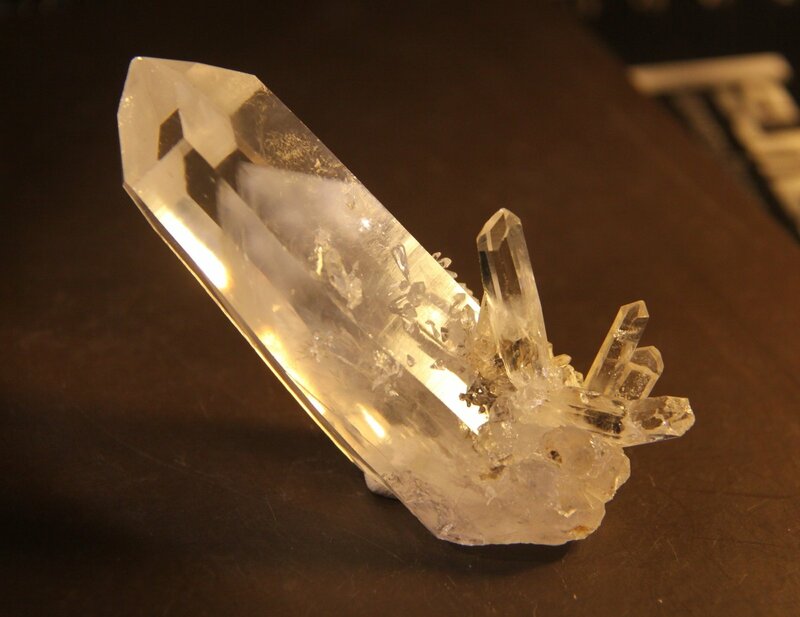 Description: Transparent Quartz crystal with regular hexagon cross section and a great white phantom showing the pyramidal internal faces. With more little crystals downstairs. (Nº-29).